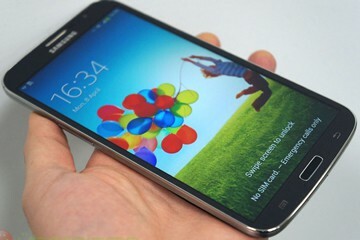 If we look at the pictures with Galaxy S4 and Galaxy Mega 6.3, we can notice that Galaxy Mega 6.3 is a very big device. There are already previews available on the internet, but it seems that no one is thinking about the device’s battery. We are wondering about the lifetime of the battery and how it will manage with that large screen. Dual core Snapdragon devices which use a 3,200mAh battery have a great efficiency and we are thinking if this efficiency will remain at the same high level with a screen that is far bigger than other smartphones have. The screen size is 6.3 inches in diagonal and it is very big if we think about a normal smartphone and the fact that it is only 23% smaller than a 7 inch tablet. GSM Arena posted the full battery test for the 6.3 inched device. We can see that it is not on the top of the list with its battery for a single charge, as it will allow you to talk for about 20 hours, but it is clear that is enough for a normal user. If we think about web browsing, the device will offer you one hour more than Galaxy S4 does, due to it capacity which is 600mAh more than Galaxy S4. However, Apple iPad mini lasted with 50 minutes more. The same time is registered for the video playback and you will be able to watch two full movies and still have a lot of battery level to use for other things. For the endurance time, I must tell you that the device scored very good as it can be used for three days with only one charge. This result is for an hour of web browsing, watching videos and calling per day. We will provide you as soon as we can a full review of the device. The benchmarks posted on the internet are confirming that this device is a good one and we hope our review will state the same thing.